I work in an office above a workshop that deals with manufacturing products; they use various woods and spraying machines. Although the offices are cleaned 3 times a week the particles from the workshop used to really irritate my skin. This mask not only helps to clam my skin. People at work are commenting on how refreshed I look when I use it. Along with this I would recommended using the sensitive range for any one who has environmental skin problems, and use this masque twice a week to get the complex you've always wanted. 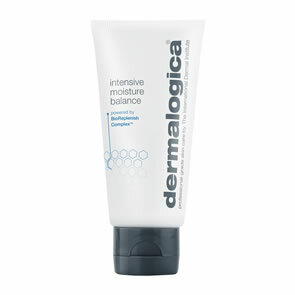 I tried using Dermalogica products 6 months ago and will never go back to using any other product on my face. 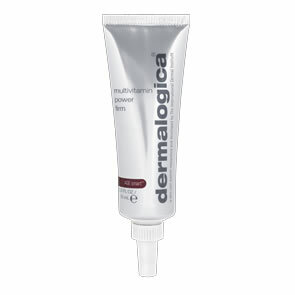 I think Dermalogica Multi-Vitamin Power Recovery Masque is the ideal masque for people that work long hours and they just need that quick 15 minutes to brighten and sooth an irritated skin type. This masque will quickly leave you with fantastic brigthening results with the added vitamins that are used to heal the skin and will also reduce any redness on the skin caused by sensitivity, which is especially good for people that want a milder masque to use, even on sensitive skin types - this product is just that. This gives instant results! My skin is left smoother, brighter and healthier looking. A go-to solution for anyone with concerns over grey or dull skin. If you,like me, suffer from Rosacea or sensitized skin this is a wonderful product to use especially when your skin is sore. I use it weekly and it calms my skin immediately on application brings down the redness and leaves it so soft and comfortable too. Pure magic! I purchased this after a facial where the therapist used this on my skin. Since receiving it, I have used it twice a week for 3 weeks and my skin is amazingly soft, my lines have softened and my skin is plumper than it has been for ages. Highly recommended. A lovely masque that leaves you feeling relaxed with glowing skin. I would highly recommend this. This is amazing! As with all Dermalogica products, a little goes a long way and having this on for 10 minutes made my skin smooth, tighter and brighter. Brilliant. I first tried this product as a sample - it felt fantastic on my skin so i just had to buy it. My skin felt so smooth and pampered after one application - i use it a couple times a week. Pure beauty were fantastic- VERY quick delivery and some lovely free samples to boot - i think ive found my new favourite skincare range - i just wish i could buy it all!! !